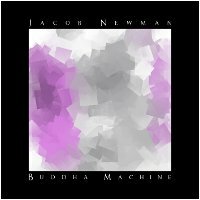 We are happy to welcome Jacob Newman to the Earth Mantra family of artists, who brings us a beautiful droney remix of the FM3 Buddha Machine. As you might guess, we at Earth Mantra think this product is one of the coolest things around. But even cooler, FM3 has decided to release the sounds of the device under a Creative Commons license, and in fact actively encourages people to reuse the sounds and remix them into new music. As a result, we encourage all Earth Mantra listeners to check out FM3, and if so inclined, invest in a Buddha Machine of your own. With this release, Jacob has taken raw material from the Buddha Machine, processed and remixed it, and translated it into a single longform ambient piece of immense depth. One of the coolest things about this piece is how perfectly it satisfies Eno's definition of ambient music: the notion that the music should be as "ignorable as it is interesting". While we would never suggest that Buddha Machine should be ignored, it most certainly makes a perfect backdrop for almost any activity. But likewise, it is also very listenable and approachable, completely suitable for the active listener as well. Another particularly tasty aspect of Jacob's mix is the patience with which the music evolves. He has blended numerous disparate themes into one cohesive whole, but done it with such sublime patience and care that one almost doesn't notice the transitions when they occur. Truly masterful work. We are very pleased that Jacob has released his lovely Buddha Machine mix on our label, and hope that this is just the start of more beautiful ambient music from this talented artist.